Noted KGI analyst Ming-Chi Kuo on Monday weighed in on Apple's upcoming Apple Watch release, affirming recent reports of LTE cellular connectivity and dispelling rumors that the device will sport a new form factor. In a note to investors obtained by AppleInsider, Kuo says LTE connectivity will be the standout feature for this year's Apple Watch revamp. The prediction is consistent with reports earlier this month that claimed Apple planned to build cellular connectivity into its wearable with a product launch later this year. Initial integrations might be restricted, however, as Kuo notes technological and commercial limitations could negatively impact device capabilities. Of note, the new LTE model will not support 3G communications and will only support LTE in "specific" countries and markets. Apple's domestic U.S. market is likely a contender for inclusion, as is China, though the analyst failed to elaborate on regional availability. Apple's next-generation Watch is not expected to get a design revamp to along with LTE connectivity, meaning the device will boast the same 38mm and 42mm rounded square design first debuted in 2015, Kuo says. Earlier this month, blogger John Gruber, claimed an all-new form factor would arrive alongside LTE support. Gruber later updated hedged his bets, saying the information originated from an "unconfirmed little birdie." With the rollout of a dedicated LTE model, shipments of the new Apple Watch models will reach 8 to 9 million units in the second half of 2017, Kuo estimates, with the cellular version accounting for 35 to 40 percent of sales. Overall, the analyst forecasts fiscal 2017 sales between 17.5 and 18 million units, up 70 percent year over year. Looking ahead, Kuo sees potential growth in a major form factor change, though it is not clear when the redesign will debut. Other growth drivers include FDA approvals for advanced medical and health functionality and the development of 5G cellular technology. Apple is rumored to be working on a number of new Watch features including a non-invasive glucose monitoring solution, widely viewed as a holy grail of modern medical technology. I'd like them to offer Sapphire glass with the aluminum body. 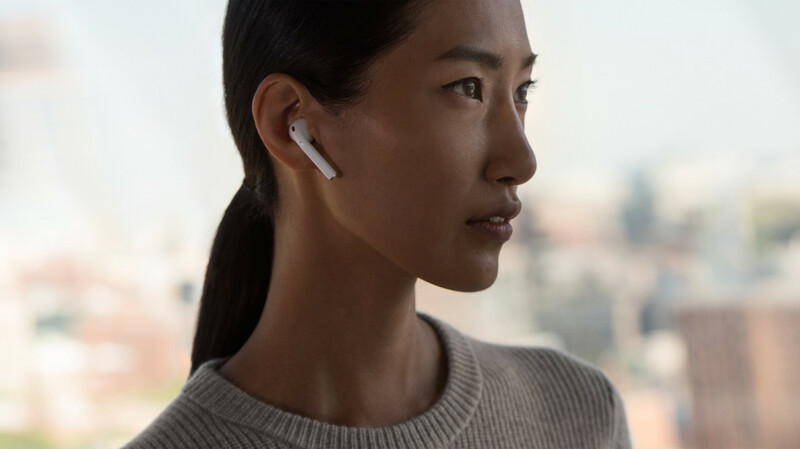 With two cigarette butts sticking out of my ear (AirPods), nobody notices my watch anymore - more people are interested in what I'm wearing in my ears than they are on my wrist. I just hope that future iterations of the Watch will allow me to use my current watch bands. I now own 5 bands including the one it came with, and I'd balk at buying new ones. I'd keep my old watch until it died if that were the case. I hope they will offer an upgrade for existing watch owners. I bought the steel & sapprire 1.0. And why not offer a “green” upgrade option instead of owners having to toss, sell or give away the old model? Seems like something they could do in store easily? Yup, status quo (offer buyers the choice of LTE + WiFi, or WiFi only models). Made sense since LTE Apple Watch was 1st rumored. Personally, I don't need data plan for my AW, same for my iPad, so it will be nice to not have pay for the unused hardware. @mikeycampbell and other AppleInsider staff: if possible could you begin to chart the reliability of sources you use in articles. It would be sweet for readers to have access to stats, like in sports, so we can better decide how much faith to place on these mysterious analyst. Sounds like you’re wearing them wrong. They should be close to the jaw and are far more streamlined than most BT earpieces. Yeah thinner would be nice. But it’s thinner than my friends’ big guy watches. Plus, had you got onboard with the first one, you’d have had 3-4 years of use from this form factor before a thinner one comes out. Is there such a program for ipads, iphones, or macs? All cost more. Yes there are trade in options for the rest, but nothing for watch - why? 😁 That’s how I wear them - gotta few friends with a sense of humor and as funny as some say they look, my friends with iPhones are now waiting six weeks for their “butts”. Best Apple ad-on ever. Going to add a plug for Apple while I have the chance - I wear AirPods while trail running in Raleigh NC and not once have AirPods felt like they would fall out of my ear, no matter how hot or how sweaty I’ve become. Better sound than the corded version and a slight design change to stay in an ear. Sounds like you’re wearing them wrong. They should be close to the jaw and are far more streamlined than must BT earpieces. I wonder if the difference this time will LTE or Wifi but not both? The LTE cat-m (or cat-0 depending how much bandwidth they want in there) can do peer to peer connections to talk directly to your phone when close instead of via network and cloud. It would seem redundant to me to have both wider range radios drawing power when the data being pushed will be low bandwidth. Even Cat-m has been shown to have enough capacity to hold a voice call. Just wait 'til they get 'em with the AR glasses too! LTE is awesome, but the older devices have low build quality, bad cosmetics and were designed with wrong decisions about features vs battery (including restrictions on real backgrounding rather than managing third-party energy use from their kernel). Nice to hear about the updates but I don't need LTE or glucose monitoring. I'm fine with my Series 2 stainless steel AW. I'd like glucose monitoring. I'm not diabetic, but it would be nice to have a device that can monitor and record my glucose ebbs and flows. Long term that could be very beneficial to understanding other illnesses or staving off potential longterm issues. It's LTE that I have yet to have found a direct need for. There are surely benefits, like being able to stream music which are sent to BT headphones on a run, but, for me, that's about the only thing I've considered using it for, and even then I'm not sure I'd buy it for that. Thanks for letting us know how your personal needs are being met. However I hope Apple continues developing the product in new and interesting value adding ways. I’d like to be able to receive and reply to a text message while on a jog without my phone. Pretty simple use case. My lifetime expenditure on wristwatches is probably less than a Series 2 Apple Watch. I'd consider a Series 3 but only if it is differently styled. I have been pretty tempted with version 1 and 2 but never took the plunge. It will be interesting to see the next iteration. It would be a real engineering feat if they add LTE and performance stays the same or gets even better. The thing is that my phone is always with me. I can't imagine leaving it behind when I walk or cycle. I just wonder who LTE would be the deciding factor for. I would want it to be an iPhone on my wrist but I can't imagine a web browser on a watch.